The Costume Management Module can help you manage your costume orders and help post costume fees! This module may be named differently, depending on the edition of Jackrabbit you are using. 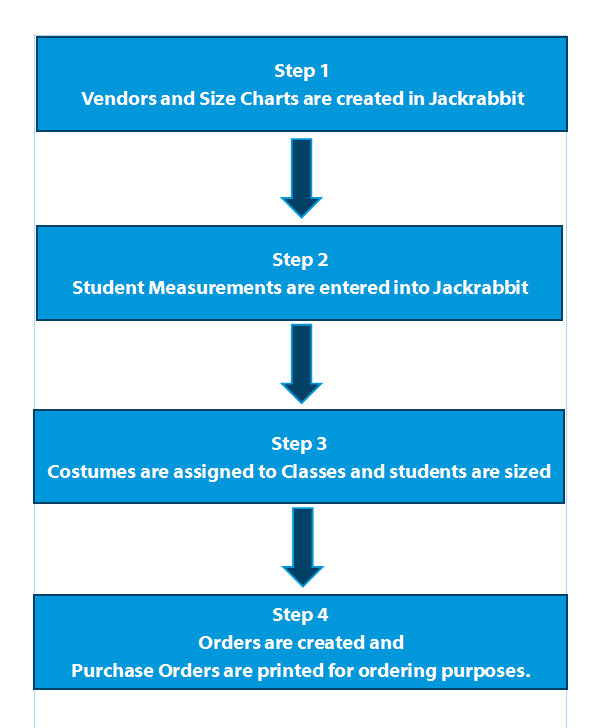 For simplicity, this section uses the term costume throughout, however costume, apparel, equipment, materials, and supplies can be considered interchangeable terms throughout this topic and throughout your Jackrabbit database. For a User to see and work with the Costume Management module they must have the User ID permission "Costume/Apparel Module", which is located in the Tools section of permissions.